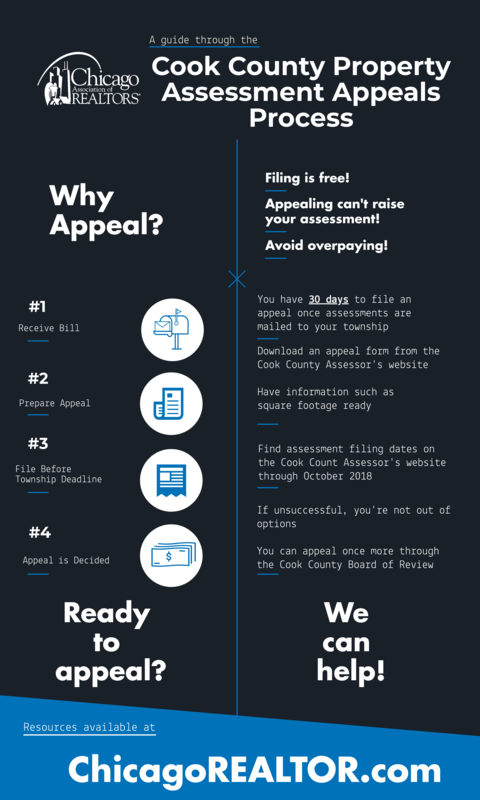 Have you thought of appealing your Cook County property tax assessment?Six townships are open for appeals; see below for the latest deadlines and a helpful infographic. Jefferson is open for appeals through August 16th. Proviso is open for appeals through August 17th. Wheeling is open for appeals through August 17th. Orland is open for appeals through August 20th. Lake is open for appeals through August 30th. Palatine is open for appeals through September 4th.